I didn’t really grow up eating bread pudding on a regular basis. I think my dad made it a few times– cubed bread, soaked in a cinnamon-laced egg-and-milk mixture, with some raisins thrown in. It was reasonably good whether hot or cold, but it was admittedly somewhat lacking in… something. There was no pop of flavor or texture to make it stand out. 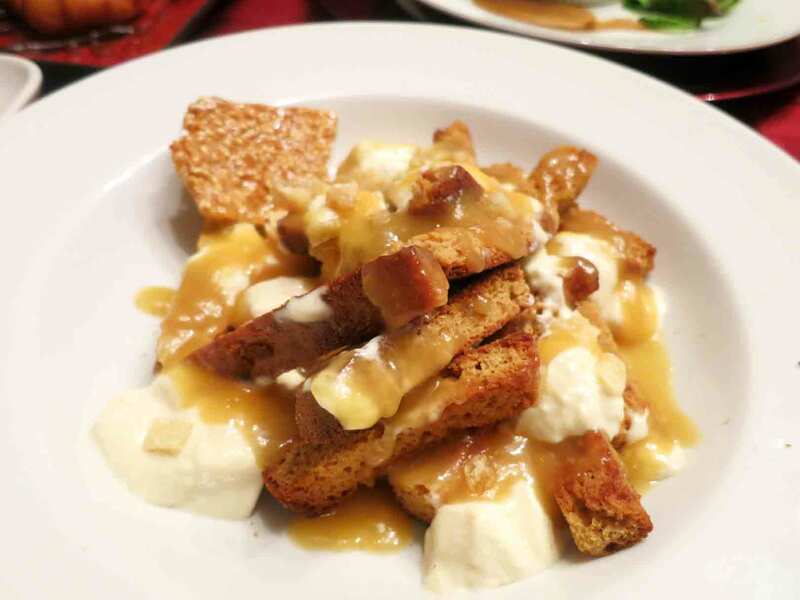 Later, once I tried pumpkin bread pudding, chocolate bread pudding, and even savory spinach-and-gouda bread pudding, I grew to love it and to try seeking out new variations on the theme. Because really, what could be easier than cutting up some stale bread, tossing in some extras, soaking it in custard, and sticking it in the oven? I’ve already mentioned my love for Frances Hodgson Burnett’s A Little Princess— quite apart from the doll reference, Sara was a character I could relate to (at least in some respects), always telling stories and imagining things. There are several references to food in the book– rich, savory soups, hot muffins, sandwiches, cakes– but the most prominent takes place when Sara is out on a cold winter day. Tired, cold, and extremely hungry, she daydreams about being able to buy some hot buns, when suddenly she happens upon a lost four-penny piece! And then, if you will believe me, she looked straight at the shop directly facing her. And it was a baker’s shop, and a cheerful, stout, motherly woman with rosy cheeks was putting into the window a tray of delicious newly baked hot buns, fresh from the oven—large, plump, shiny buns, with currants in them. As a child, I didn’t really know what currants were, but “large, plump, shiny buns” sounded delicious. 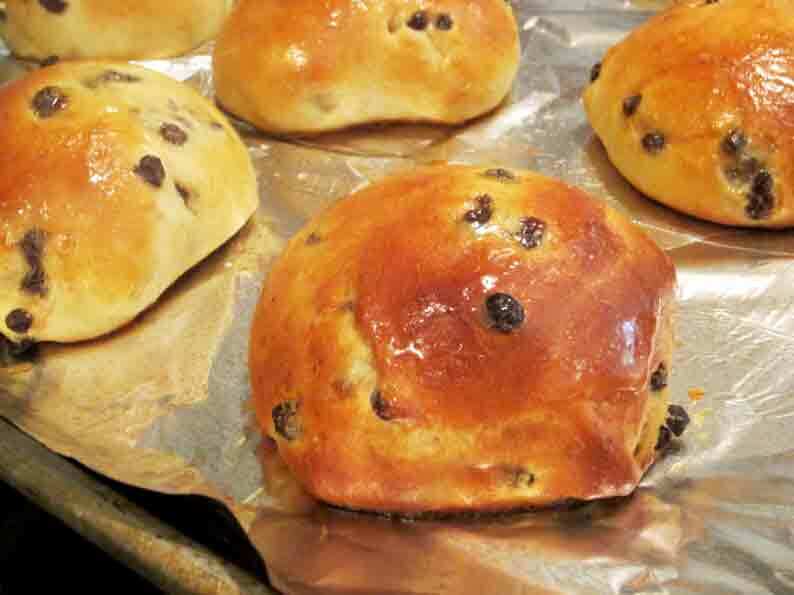 I figured that these buns would be lightly sweet, studded with rehydrated dried currants, with a shiny egg wash and perhaps even a light sugar glaze over the top.